Flite-ready fold-out console/stand. Center mounted flip-up shelf. 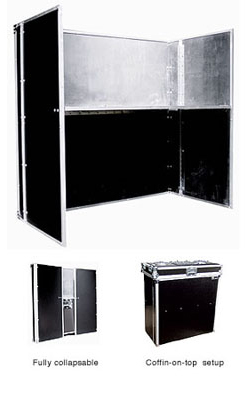 Set your DJ coffin right on top for a clean, professional look.